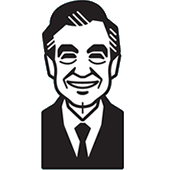 From the estate of Mister Rogers, the television personality celebrated for encouraging his young viewers to practice kindness, self-care, and empathy, comes the first TV show companion book. This book takes a deep dive into the history of the show, featuring photographs, interviews, and ephemera as well as articles that reveal the deep impact the show had on American culture. Go behind the scenes of everyone's favorite children's show with this 360-view of the making of Mister Rogers' Neighborhood. With chapters on the show's history, cast and crew, puppets, set designs, and the lasting effect of Mister Rogers's legacy, this book is the ultimate fan guide.